Python is Goodness. KDE is Goodness. 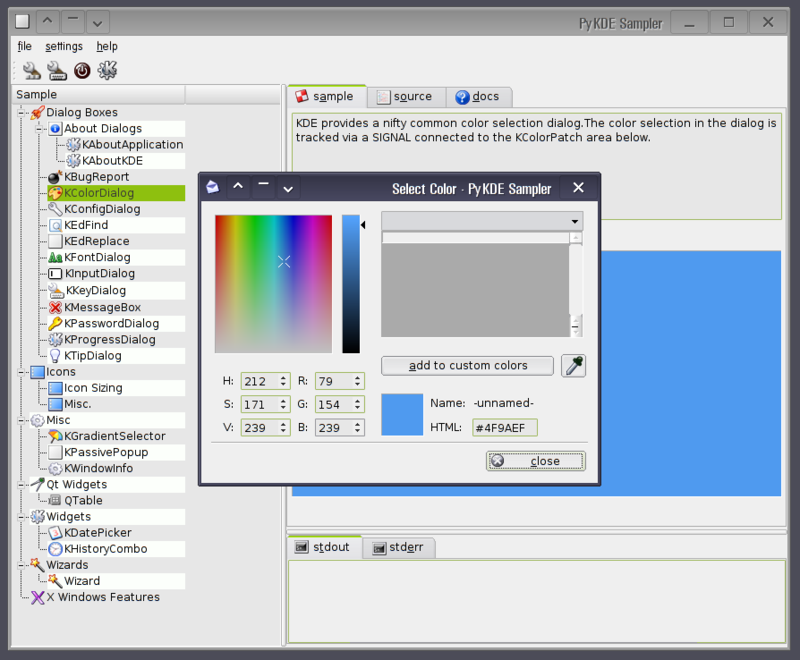 Put together, they become PyKDE, the Grand Supreme Goodness of desktop environment language bindings. Posted by troy	| August 2, 2006 | Categories: python | Comments Off on Clever Harold – The Shocking First Exclusive! Big updates for a small module. The TracPythonDoc wiki macro now has enough features for real use. In a time long, long ago in a cubicle far, far away, I once wrote a wiki macro for Trac to generate documentation from python modules in a Subversion repository using PythonDoc. Building on the earlier success of creating a pickle data type in PostgreSQL, I’ve come up with this small and comfortable way of automatically serializing and de-serializing python pickles with PostgreSQL and psycopg2.